This pediatric-nurse play set has everything little nurses need to take care of a newborn baby — including the baby! 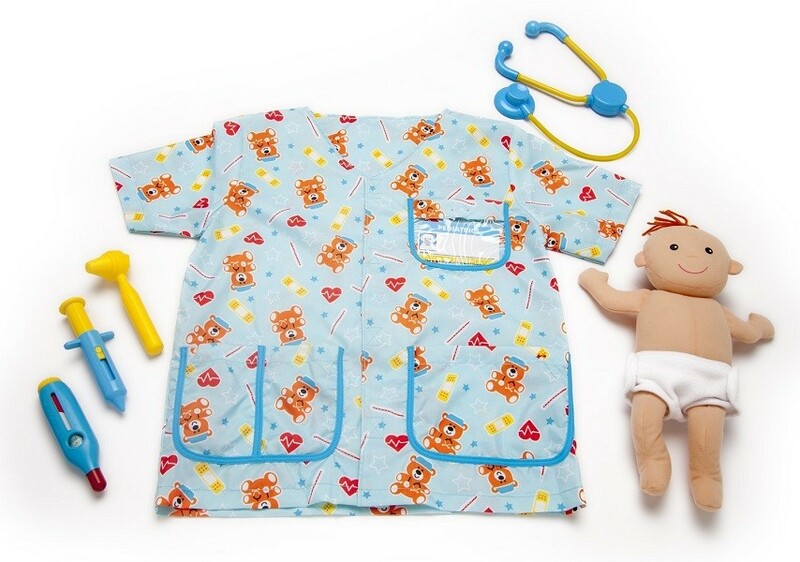 Nurses-in-training can slip on the cheerful, gender-neutral uniform (complete with customizable hospital ID tag) then fill the pockets with tools for a pretend-play checkup. The included stethoscope, ear scope, thermometer, and syringe help make sure all is well with the cuddly newborn — or help patch up any imaginary booboos or sniffles. The plush baby doll has a removable cloth diaper with self-stick closures for easy changes before or after the checkup. For more fun and empowering dress-up options, visit our Costumes / Dress Up Collection.